To claim this profile, please confirm you are Skyler Reilly. To follow this profile, please let us know your relationship to Skyler Reilly. RESULTLoss Girls varsity basketball @ High Point Central. The Jack Britt varsity basketball team lost Tuesday's away playoff game against High Point Central (High Point, NC) in overtime by a score of 50-46. This game is part of the "2019 Women's Basketball Championships - 4A" tournament. RESULTLoss Girls varsity basketball @ Pinecrest. 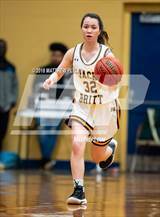 The Jack Britt varsity basketball team lost Thursday's away conference tournament game against Pinecrest (Southern Pines, NC) by a score of 54-44. Skyler's basketball stats have been updated for the win vs. Richmond. RESULTWin Girls varsity basketball vs. Richmond. The Jack Britt varsity basketball team won Tuesday's home conference tournament game against Richmond (Rockingham, NC) by a score of 59-43. Skyler's basketball stats have been updated for the loss @ Seventy-First. RESULTLoss Girls varsity basketball @ Seventy-First. The Jack Britt varsity basketball team lost Friday's away conference game against Seventy-First (Fayetteville, NC) by a score of 40-38. Skyler's basketball stats have been updated for the loss @ Pinecrest. 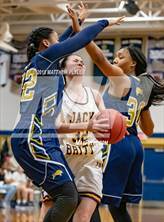 The Jack Britt varsity basketball team lost Tuesday's away conference game against Pinecrest (Southern Pines, NC) by a score of 52-49. Skyler's basketball stats have been updated for the win vs. Hoke County. RESULTWin Girls varsity basketball vs. Hoke County. The Jack Britt varsity basketball team won Friday's home conference game against Hoke County (Raeford, NC) by a score of 63-41. Skyler's basketball stats have been updated for the loss @ Lumberton. RESULTLoss Girls varsity basketball @ Lumberton. The Jack Britt varsity basketball team lost Wednesday's away conference game against Lumberton (NC) by a score of 40-23. Skyler's basketball stats have been updated for the win @ Purnell Swett. 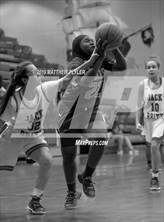 RESULTWin Girls varsity basketball @ Purnell Swett. 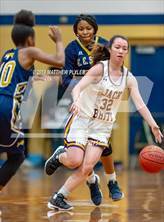 The Jack Britt varsity basketball team won Tuesday's away conference game against Purnell Swett (Pembroke, NC) by a score of 51-33. 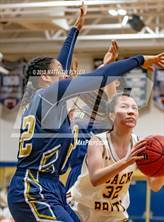 The Jack Britt varsity basketball team won Friday's home conference game against Richmond (Rockingham, NC) by a score of 42-30. Skyler's basketball stats have been updated for the win vs. Scotland. The Jack Britt varsity basketball team won Friday's home conference game against Scotland (Laurinburg, NC) by a score of 44-30. Skyler's basketball stats have been updated for the win vs. Pinecrest.